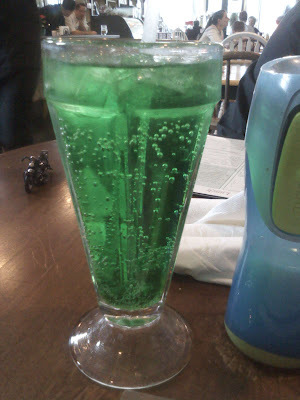 Green River Pop has been around for years, and its one of those kid memories I have that I try to make my way back to. Usually I can find it in a random gas station, but for the past ten years, its been harder and harder to find. There’s an old/new item on the menu at the Bair Bistro in Steilacoom. The syrup/soda proportions, Cannon vowed, will be perfected by the time patrons flock to the Steilacoom Historical Museum’s “Living Museum” to order the renowned soda fountain drink. Here is my photographic evidence. One with the carbonated water and syrup before mixing. 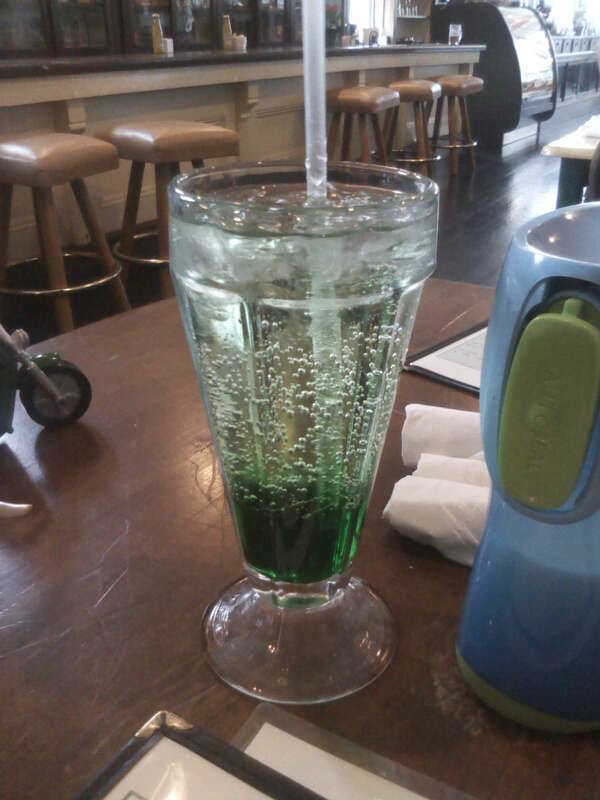 When we arrived, we were informed that they were out of C02, so my Green River pop had to be mixed with regular soda water. My overall impression is that in terms of taste its very close to what Green River tastes like out of a bottle, possibly just a little less sugary. And, of course Green River (soft drink) has a wikipedia entry. Is there any place in Olympia that does hand mixed pop?